Our mission is to produce the healthiest and most uniform cuttings in the world. 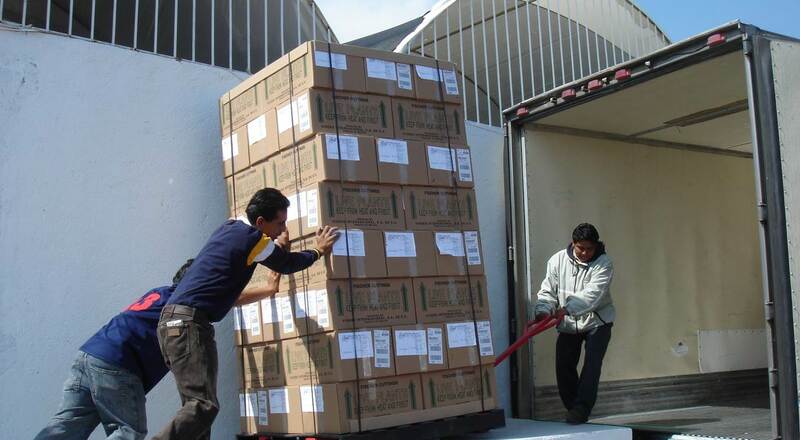 Vivero Internacional is a mexican company that specializes in the production of plant cuttings. Almost 50% of all vegetatively produced Pelargonium plants in the United States are grown from cuttings harvested at our farm. For us it's normal procedure, but most of our visitors (including USDA inspectors) are very impressed with our cleanliness, attention to detail and our passion for high quality. We are located close to 4 international airports. The farm is about 750 miles away from the Mexico-US border. Our company owns close to 100 acres of plastic covered greenhouses. Vivero Internacional employs 800 people during the peak season. At our company, we produce a total of 211 Pelargonium varieties, 82 Poinsettia varieties, 37 New Guinea Impatiens and 4 Dipladenia varieties. Vivero Internacional, S.A. de C.V. was founded in august 1990. In the beginning we sold finished poinsettias locally, greatly improving the quality that mexican finished plant customers now expect from a flowered poinsettia plant. In 1992 Mr. Gerhard Fischer agreed to have Pelargonium cuttings for the US and Canadian market produced by our company. In 1995 Mr. Paul Ecke Jr. asked us to produce poinsettia cuttings for Paul Ecke Ranch. This relationship lasted for approximately 15 years. For the 2013-2014 Pelargonium season we have reached an agreement with Geranien Endisch and Elsner-pac to produce some of their Pelargonium varieties under license for the North American market.